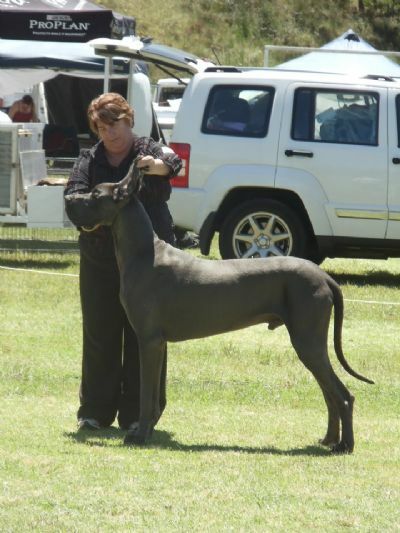 Aust Ch Taliekin Mystery N Mayhem "Sherlock"
Sherlock is loved and owned by Di, Kendall & Maddison McMaster. Sherlock is maturing into a handsome young man. He is a Runner Up Best in Group and Class in show winner from his limited showing.